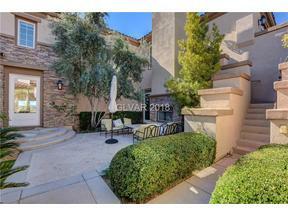 Sensational romantic home in Red Rock Country Club with stunning city, mountain & golf views! This spectacular home is high level of finishes. Open floor plan with Remarkable details throughout! 4 car garage, 4 fireplaces/private large courtyard with fountain/tremendous master with sitting room retreat. Phenomenal views throughout. Outside kitchen with plenty of entertaining space, truly pristine. An amazing home in an incredible setting!